Posted on 19 April 2019. Lukasz Fabianski makes no bones about the need for improvement within the team insisting every member of the squad is aware of some shortcomings. Manuel Pellegrini has demanded continued improvement from everyone at West Ham next season – including from himself. Sky Sports has backed the PFA's anti-racism campaign #Enough by embarking on 24 hours of silence on social media. Manuel Pellegrini has confirmed three players will be absent this Saturday when West Ham take open Leicester at the London Stadium. Leicester boss Brendan Rodgers has spoken of his admiration for West Ham counterpart Manuel Pellegrini – the man who beat him to the Premier League title. Javier Hernandez will not play this weekend because he has a problem with his ear the manager confirmed yesterday. TV pundits disagree on the outcome of the West Ham’s game against Leicester City at the London Stadium on Saturday. Freddie Felton’s friends and family want supporters to join in for one minute of applause for Freddie in the game against Leicester this Saturday. Poll: Will West Ham win, lose or draw against Leicester? Will West Ham win, lose or draw against Leicester? Posted in ClaretandHughComments Off on Poll: Will West Ham win, lose or draw against Leicester? Young Nathan Holland found himself included in the match day squad for Old Trafford sparking hopes that he could get his first taste of Premier League action before the end of the season. Michail Antonio’s future looks more and more likely to be at West Ham. 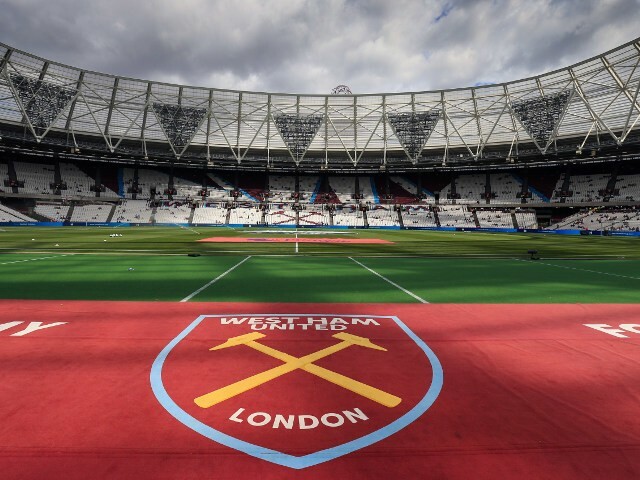 The original Hammer of the year trophy is to return and will be presented at the London Stadium pitchside on 4th May the West Ham United Official Supporters’ club have announced. The previous green surround was criticised in 2017 by then-manager Slaven Bilic, who claimed his players struggled to distinguish between the pitch and its perimeter. Posted on 18 April 2019. West Ham host Leicester at the King Power Stadium on Saturday afternoon with the visitors set to welcome back Marc Albrighton to the matchday squad. West Ham boss Manuel Pellegrini hopes the imminent return of Jack Wilshere can provide a 'good injection' for his team. Wilshere has not played since the start of December. Christophe Dugarry has put the boot into Dimitri Payet as his career has faded following the West Ham exit. West Ham boss Manuel Pellegrini hopes the imminent return of Jack Wilshere can provide a “good injection” for his team. West Ham manager Manuel Pellegrini believes Jack Wilshere's imminent return to first-team action will provide a 'good injection' to his squad. Manuel Pellegrini has revealed that neither Manu Lanzini or Samir Nasri will be available for the clash with Leicester City at the weekend. The news that Saturday has been designated Claret and Blue day by the club has been met with some bemusement by some Hammers supporters. West Ham are likely to let Chicharito leave the club in the summer! West Ham’s lunchtime game against Spurs in their Stadium on 27th April will not be affected by their progression in the Champions League. Robert Snodgrass is waiting for the FA to provide written reasons for his £30,000 fine and one-match ban which many in the game consider very harsh. 1 West Ham Fan Browsing This Page.